Six years ago, with the financial collapse of her country and the death of her parents, Carrie Ashworth swore to protect her siblings. She has fought to build a life for them in her illegal clan. Now home and recovering from a government-spread virus, she's ready to pursue a little happiness of her own-with Greg. Greg Pierce has no plan to join the growing rebellion or their "live free or die" mentality. 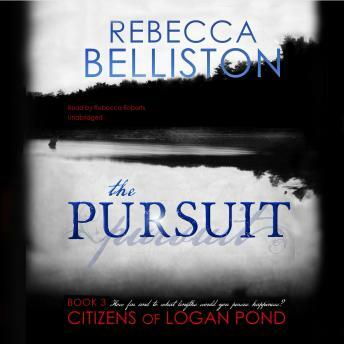 Even after compulsory military service deepened his hatred of President Rigsby's regime, he wants nothing more than to leave it all behind and start a quiet life with Carrie in Logan Pond. But when word reaches them that Oliver, their patrolman friend and protector, is missing, Carrie and Greg are thrown into a race for survival. Chief Jamansky has discovered Oliver's little secret, and now he wants revenge, forcing their clan to consider abandoning Logan Pond forever.